I was cruising through the channels the other day and was frightened to find out that those surreal live-action Mario Kart 8/Mercedes GLC collaboration commercials are back on the air waves. Two new TV spots released by Mercedes feature Mario racing in their newest SUV, but this time, two new rivals have joined the races! The first of these feature Mario and his brother Luigi racing, and *spoilers* Luigi finishes out the race with the upper hand on his brother. 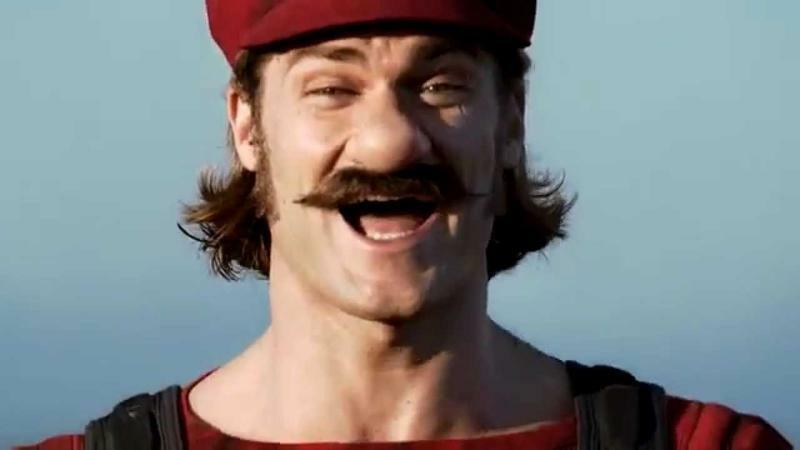 The two live action actors exit their cars, and Luigi is even creepier than his brother! He does an awkward little jig before Mario gets the last laugh. The second commercial plays out the exact same way with Mario losing the race to another mystery opponent, this time revealing herself to be Peach. Only unlike Luigi, she is not prone to Mario's silly tricks. *spoilers* She jumps a green shell with ease, leaving poor awkward Mario to sulk away without the final say in this match-up. These are nice and all, but I'll only be impressed from here on out if Nintendo casts a gorilla to play Donkey Kong or if they find a human being who is grotesque enough to exactly resemble Wario. Let's see it happen, people! Don't forget that if you missed it, you can still download the free Mercedes GLA DLC for Mario Kart 8 and use it in races online.